Nothing is more fun than sitting by the beach in Southern California and overlooking the ocean with great friends, wine and food. A friend and I recently discovered The Deck in Laguna Beach and loved the place. It has a fantastic beach atmosphere, it’s very relaxed, and we just spent hours chatting over wine and lunch. 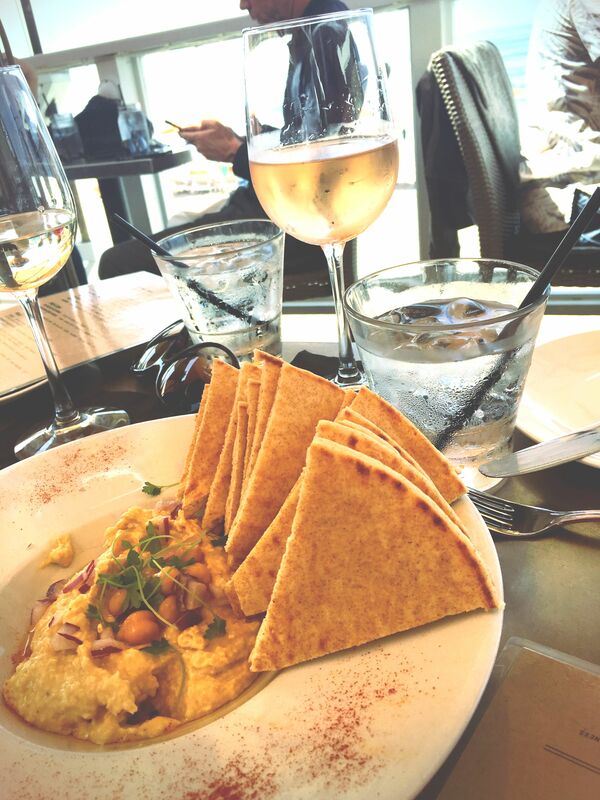 We tried the house made humus dip, the oysters and the grilled Mahi Mahi sandwich. I don’t like seafood (and passed on the oysters), but don’t mind salmon and tuna here and there. The Mahi Mahi sandwich was amazing. Can’t wait for my next discovery on a beach. This entry was posted in Things to Do in SoCal and tagged laguna beach, lunch, SoCal, the deck, wine.